Eric Chahi, maker of Another World (Out of this World in the US), spoke to the US PlayStation Blog today about Pixel Reef’s newest title, Paper Beast, coming to PlayStation VR later this year. Chahi said that in order to have complete freedom with his next project, he formed Pixel Reef. That next project became Paper Beast. It’s a VR game set within a vast network of data, where a small bubble of life has suddenly emerged. 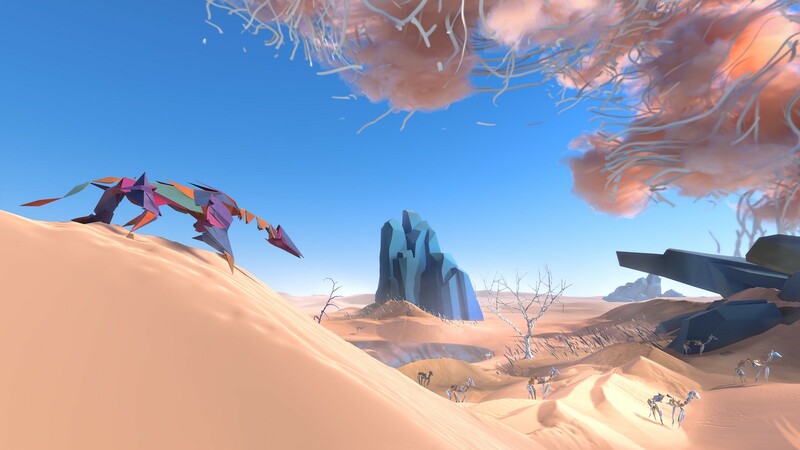 Paper Beast is all about exploring untouched land that is filled with a huge ecosystem of different creatures. Chahi said that the idea came to him while playing with physics within the Unity engine. He stated that he has always been intrigued by exploring new ideas and creative concepts, citing this intrigue as the main inspiration behind his previous game, Another World. Check out the trailer for Paper Beast! We wanted to reproduce the excitement you might feel as an explorer discovering a virgin land, a place where no human has been before. When you watch animals in nature, you feel something special about how they move and react. They exhibit an intense sense of vitality that makes exploring all the more enriching. You will interact with the creatures and will start to form delicate bonds with them. Every bit of gameplay is built atop a simulation covering every conceivable detail, from terrain simulation to animal locomotion. You can precisely interact with the environment as an immersive, playful universe. Will you be picking up Paper Beast when it comes to PSVR later this year? Let us know in the comments below!